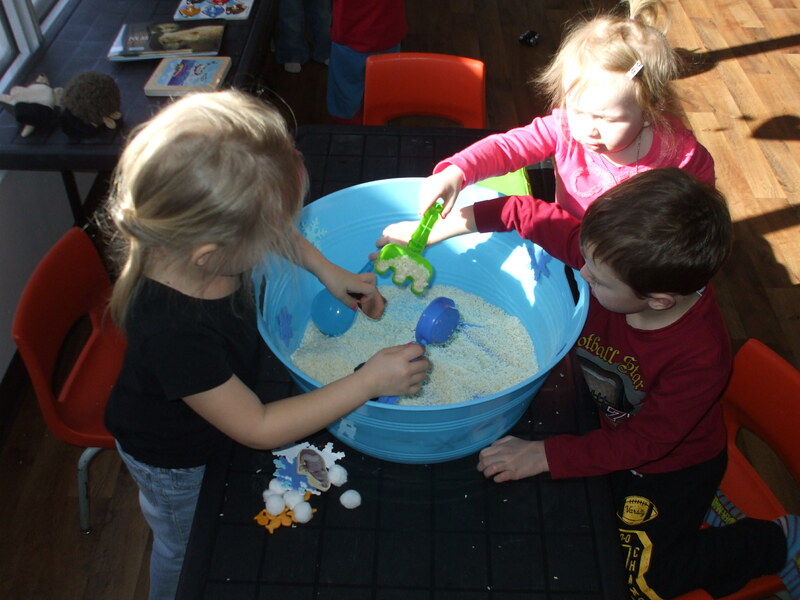 The Polar bear week added up to be during an actual chilly week, which we clearly are not experiencing right now as we speak wow was it warm today:) We added a new experience to our playroom which was a hit! It clearly was a mess afterwards. 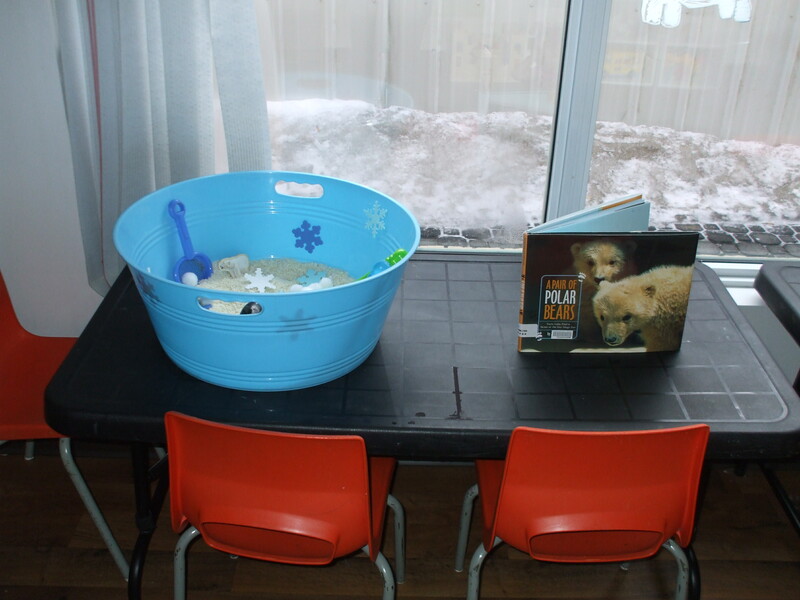 The kids had a great time with their Polar Bear themed rice bucket. We will soon being doing it again so much fun. 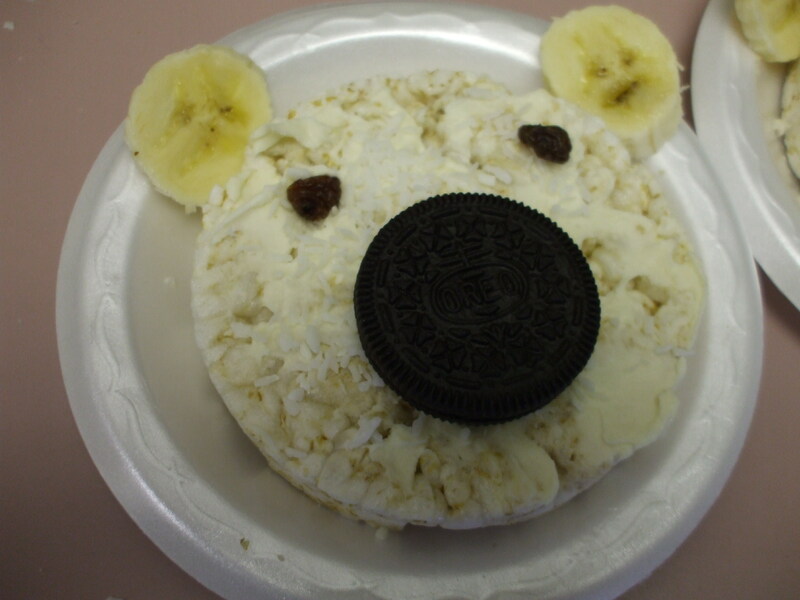 We had a very themed based snack provided by our very own moms, Polar Bears. 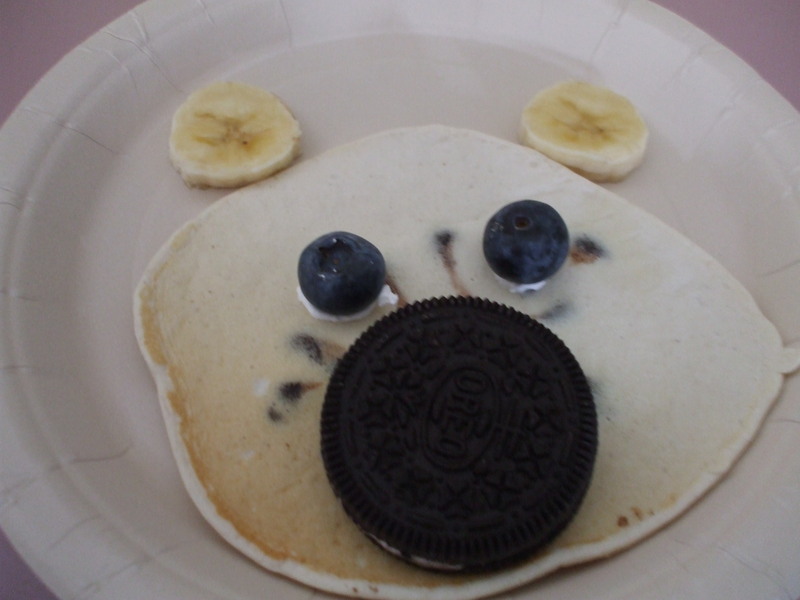 Each one was made out of some healthy bits, minus the Oreo cookie nose 🙂 There is so many great ideas on the web for themed snacks take a look. I always find myself finding great new ideas. My kids are most likely to eat a snack if it looks fun and represents something they can identify. We try to stick with healthy but sometimes a little sweet is what everyone needs . 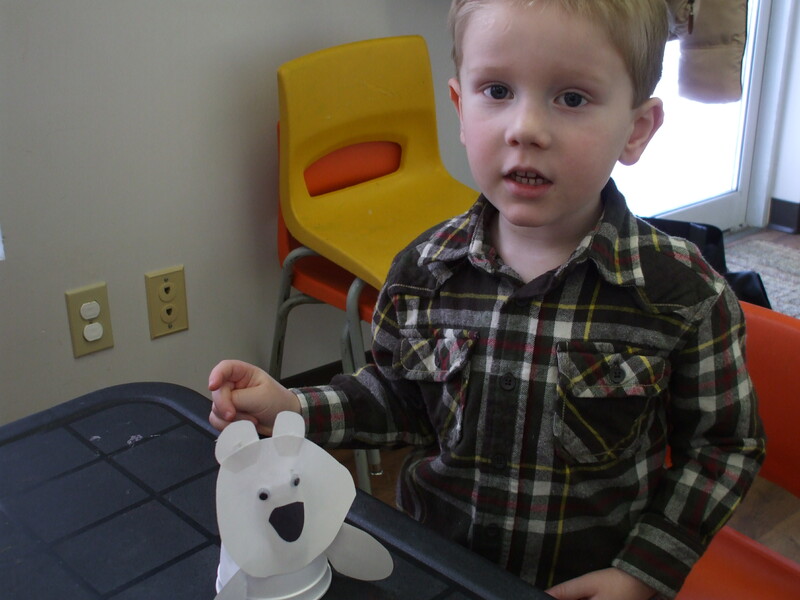 cut shapes for your little one like ears arms and nose with the white and black paper give them some glue and let them make their own polar bear its simple enough for your younger children with some help from you.